Dr. Verhaagen is a board certified psychologist who has written or co-authored eight books, including Assessing and Managing Violence Risk in Juveniles, Therapy with Young Men, Parenting the Millennial Generation and Sexually Aggressive Youth. 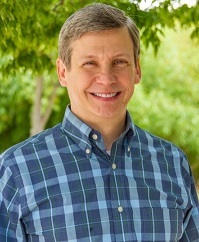 He has served as the clinical director for three mental health agencies and is the founder and former CEO of Southeast Psych, a large psychology practice based in Charlotte, NC. He is a fellow of both American Board of Clinical Psychology and The American Board of Clinical Child and Adolescent Psychology. His clinical practice is entirely devoted to treating adolescents and young adults. Dr. Verhaagen participated in the Child Development-Community Policing Team that was developed at the Yale Child Study Center to impact violence among juveniles. There, clinicians and police officers were cross-trained, with ride alongs’ and clinical consultations, as needed. His work has been featured in USA Today, Newsweek and dozens of newspapers across the USA. Dr. Verhaagen is a popular speaker on youth issues in national conferences. Violence on high school and college campuses by teens and young adults has concerned us all. As a result, professionals from a wide range of disciplines - including education, law enforcement, juvenile justice, child advocacy and mental health, need to become equipped with the state of the art knowledge regarding how to assess juveniles and young adults who have come to our attention because of inappropriate statements or threatening behavior. Professionals need a systemic, thoughtful and research based model that provides the best results, allowing high risk youth to be identified along with an effective plan to manage their risk. This one day workshop, presented by the co-author of Assessing and Managing Violence Risk in Juveniles, addresses these important issues. Recent trends in youth violence will be summarized and two decades of research on violence risk factors will be distilled. Principles for conducting an effective, developmentally informed risk assessment of youth, including the use of structured assessment instruments will be highlighted. Special attention will be given to understanding general violence risk as opposed to targeted violence. This training will help participants understand current best practices as well as empirically based treatments that reduce the risk of youth and young adult violence.